Companies listed in stock exchanges need to actively engage with investors but little research has been done into corporate communication practices in emerging markets. 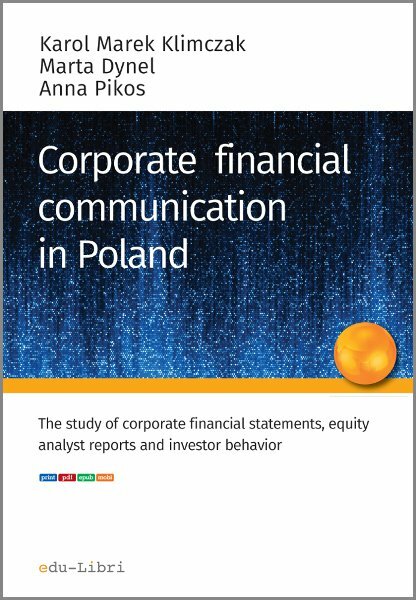 The goal of this book is to describe the textual communication between companies listed at the Warsaw Stock Exchange, equity analysts and investors.We present the results of three empirical studies of financial texts written in the Polish language: financial reports, letters to shareholders and sell-side analyst reports. The studies combine the methods of finance and language pragmatics to develop a rich picture of the causes and effects of financial communication. 2.3. Reporting requirements and practice.